● Free shipping is available every day on orders over $49. It’s also offered when you spend $25 on select brands. ● Refer a friend, and you’ll both get $10 in store credit toward your next purchase of $30 or more. ● Browse new offers every week to save 10-30% on specific products. ● Check the Deals section for the latest in BOGO offers and free giveaways. 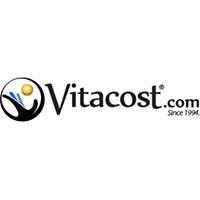 Vitacost is an online store that specializes in vitamins, supplements, and other nutritional elements that you can use to live a healthier lifestyle. They carry an array of different brands that you can review under the “Vitacost Brands” page. You can also take a look at their extensive product categories ranging from professional vitamins to sports and fitness components on the top of their home page. There are also secondary categories to refine your searches, such as non-GMO products and gluten free items. Make sure that you take a look at the deals page to take advantage of any discounts or special offers that they may have. For most up to date offers check out Vitacost on Facebook and Twitter or contact Vitacost Support for any questions.